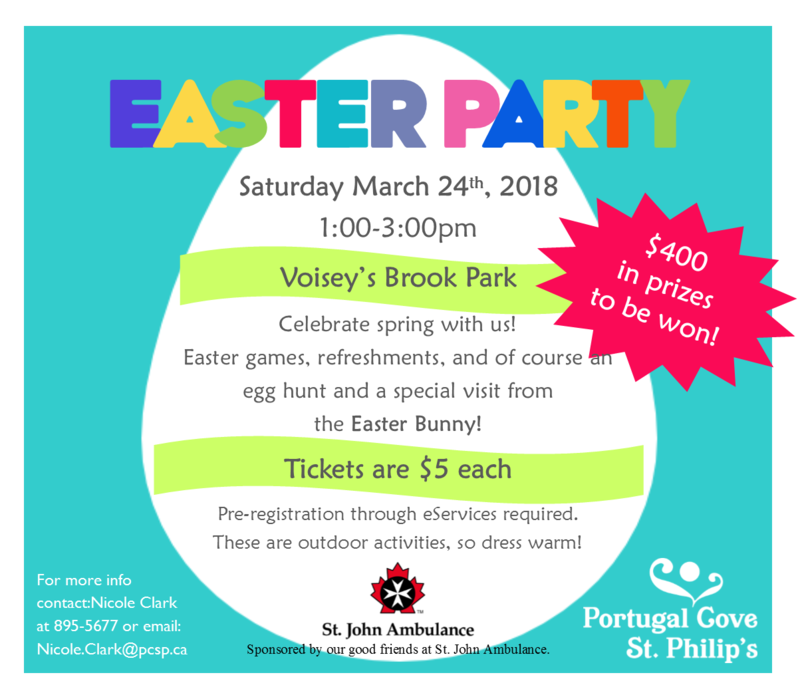 The PCSP Easter Party is this Saturday, March 24th from 1 – 3pm at Voisey’s Brook Park. Don’t miss the games and activities, including a super egg hunt and a special visit from the Easter Bunny. There are $400 in prizes to be won!